TUCSON, Ariz. — The 2018 Collegiate Baseball High School All America teams are loaded with outstanding talent from across the nation. This year’s crop of high school athletes is impressive on both the first and second teams. Twenty-eight players were selected in the first three rounds and Competitive Balance rounds of the 2018 Major League Draft. 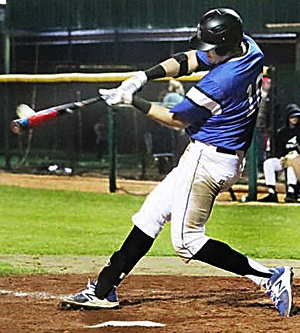 Leading the team is Collegiate Baseball’s National Player of the Year in SS/RHP Grayson Rodriguez of Central Heights H.S., Nacogdoches, TX. He had an outstanding year that cumulated into being the 11th pick overall in the Major League Draft by the Orioles. Rodriguez, who signed with Texas A&M, posted a 12-0 record this season with a 0.19 ERA, 11 complete games, 17 walks, 156 strikeouts in 75 innings. He tossed one no-hitter and 9 shutouts. According to his coach Travis Jackson, he pitched five games in a row without giving up a run. At the plate, he hit .479 with 10 doubles, 3 triples, 9 home runs and 49 RBI. 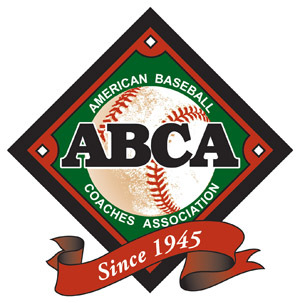 Nominations for the All Americans are submitted by the player’s high school coach and the staff of Collegiate Baseball chooses the honorees. 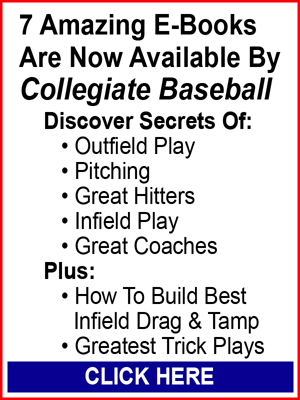 To read the full story with stats of each 2018 Collegiate Baseball newspaper H.S. 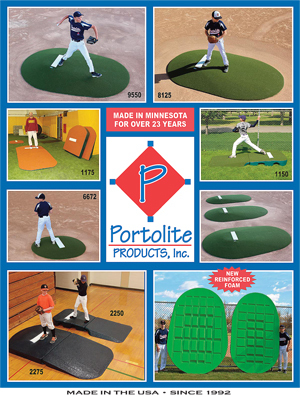 All-American, purchase the June 15, 2018 edition of Collegiate Baseball by CLICKING HERE. Grant Lavigne, 1B, Bedford H.S., N.H.
Jared Poland, SS, Cathedral H.S., Indianapolis, IN. TUCSON, Ariz. — The 2018 Collegiate Baseball Freshmen All-American team features a wealth of baseball talent. 1B Spencer Torkelson, Arizona St.
Torkelson led all NCAA Division I hitters with 25 home runs during the regular season – two more than any other player and just one shy of the NCAA freshman record. Torkelson, Freshman of The Year in the Pac-12 and a first team All-League pick, is just the sixth player to reach 25 home runs since the BBCOR batting technology changes took effect in 2011 and the only freshman in NCAA Division I to reach the milestone in that time. 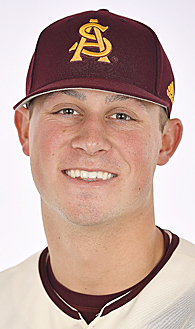 He obliterated the previous Sun Devil freshman record of 11 home runs set by Barry Bonds in 1983. Torkelson finished tied with Bob Horner (1978) for second in ASU single-season history, just two shy of Mitch Jones’ school record 27 in 2000. Torkelson slugged .743 on the season (25 homers, 12 doubles), the third-highest total for any freshman in NCAA Division I in the past two decades and the highest for a freshman in the BBCOR era (since 2011). Only Rickie Weeks (.849 in 2001) and Jeremy Baltz (.771, 2010) have posted higher freshman slugging percentages in the past 20 years. Ward put up monster numbers in his redshirt freshman campaign as he was named Player of The Year in the Northeast Conference and was a first team All-League pick and Rookie of The Year. He not only hit .409 but belted 22 doubles, 5 triples and 8 homers along with 52 RBI in 247 at-bats. Ward scored 51 runs and collected 101 hits as he only struck out 10 times all season. Fredrickson was the Pitcher of The Year in the Big Ten Conference, Freshman of The Year and was a first team All-League selection. He posted a perfect 9-0 record, 1.76 ERA and struck out 70 batters with 24 walks over 92 innings. Meyer was a first team Big Ten Conference selection and a member of the All-Freshmen team in the league. He posted 16 saves with a microscopic 1.34 ERA and 2-2 record as he struck out 49 batters with 11 walks over 40 1/3 innings. To read the entire list of 2018 Collegiate Baseball Freshmen All-Americans, CLICK HERE. 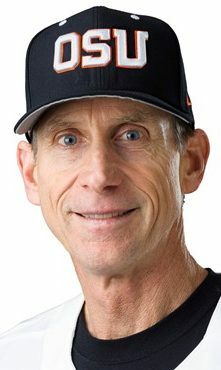 TUCSON, Ariz. — Oregon State Head Coach Pat Casey is Collegiate Baseball’s 2018 National Coach of The Year. Casey led the Beavers to OSU’s third national championship in baseball last week with a 5-0 win over Arkansas and in the process celebrated his 900th win at Oregon State in 24 seasons. It is Casey’s third such honor from Collegiate Baseball having earned National Coach of The Year in 2006 and 2007 when the Beavers also won national titles. Oregon State was faced with elimination games six times at the 2018 College World Series. The Beavers lost their opener of the CWS but won four straight elimination games to win their bracket. Then in the first game of the Championship Finals, OSU lost its first game to Arkansas. But the Beavers roared back to win its next two and claim the 2018 national title. 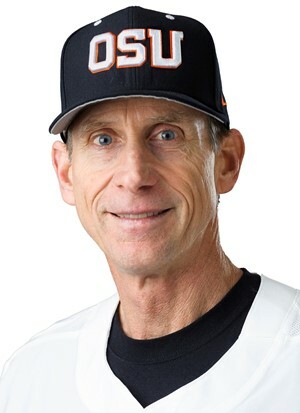 Casey is the only baseball coach in college baseball history to lead a team to national championships in this grueling fashion (2006 and 2018) as the Beavers won six elimination games each year. Under his guidance, Oregon State finished with a 55-12-1 record this season and was ranked No. 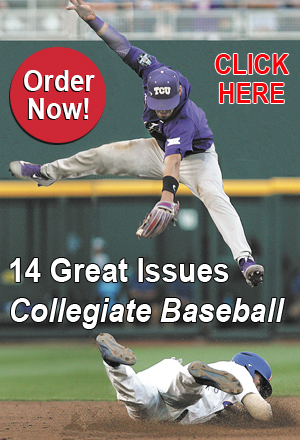 1 in nine Collegiate Baseball polls. It was the first time in school history OSU has recorded back-to-back 50-plus win seasons. In 2017, the Beavers finished 56-6 and were ranked No. 1 in the Collegiate Baseball poll for 14 consecutive weeks, an all-time high. At the recent College World Series, Oregon State led all teams in virtually every offensive category as the Beavers hit .327 with 93 hits, 15 doubles, 8 homers, 3 triples, 59 runs scored and 33 walks over 8 games. The 93 hits (11.6 per game) is the best mark in CWS history. 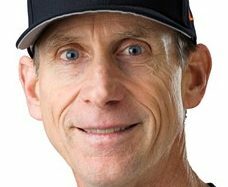 Casey has guided Oregon State to the College World Series six times (2005, 2006, 2007, 2013, 2017 and 2018). Oregon State players have been selected in the MLB Draft a total of 116 times as 51 have been chosen in the top nine rounds as 20 have played on the Major League level entering the 2018 season. 2009: Paul Mainieri, Louisiana St.
2008: Mike Batesole, Fresno St.
2007: Pat Casey, Oregon St.
2006: Pat Casey, Oregon St.
2000: Skip Bertman, Louisiana St.
1998: Mike Gillespie, Southern Calif.
1997: Skip Bertman, Louisiana St.
1993: Skip Bertman, Louisiana St.
1991: Skip Bertman, Louisiana St.
1989: Dave Snow, Long Beach St.
1981: Jim Brock, Arizona St.